Without the prospect of joining NATO, the North Macedonia name change deal with Greece (Prespa Agreement) would have been dead because the EU side has not been delivering on its promises, North Macedonia’s deputy PM and defence minister, Radmila Šekerinska, has said. Speaking at a German Marshall Fund event on Monday (18 March) in Brussels, Šekerinska, a close ally of North Macedonia”s premier Zoran Zaev, hinted that it could not be predicted if the EU would open the accession doors to Skopje in response to the name change deal. “The big weakness during the negotiations last year was that we could not foresee how the EU would respond to the Prespa agreement and whether they would be strong enough to make a decision [on Skopje’s EU path],” she said. In February, the two Balkan countries ended a 27-year-old name dispute, lifting Athens’ veto on North Macedonia’s way toward the EU and NATO. North Macedonia has been an EU candidate since 2005. All EU countries, except Hungary, publicly hailed the Prespa deal. (Former PM Nikola Gruevski, a detractor of the Prespa agreement, escaped to Hungary where he obtained asylum.) However, according to Šekerinska, nothing has changed in practice. While Skopje was immediately invited to become NATO’s 30th member, the EU has not been quick to deliver on its promise to start EU membership negotiations in June. Despite being supportive of NATO membership, a group of EU countries such as France, the Netherlands and Denmark have been reluctant to green-light the EU negotiations. Under pressure from these countries, the Commission has postponed the annual Enlargement Package reports after the European elections. 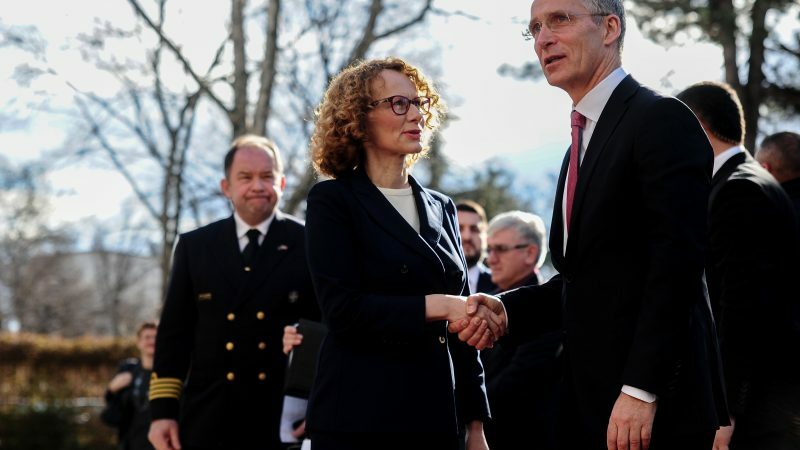 “If it hadn’t been for the NATO opportunity, the Prespa agreement could have been dead, because of this lack of delivery from the EU side,” Šekerinska said. “This is why, when we analyse the difficult choices in our region, in Georgia, in Ukraine, the hope has to be strong and it cannot be ambiguous […] that is why the open door policy is a must, one that everyone can count on,” she said, adding that her country had never expected a “free ride” and knows its EU membership does not rely only on the deal with Greece. However, it was not only the member states that added uncertainty to North Macedonia’s EU path. A few hours before the Greek parliament voted on the deal, the conservative (EPP) Greek migration Commissioner Dimitris Avramopoulos opposed the agreement, saying it was “problematic”. European Commissioner for Enlargement Johannes Hahn said on Tuesday (24 April) that Greece’s name dispute with the Former Yugoslav Republic of Macedonia (FYROM) could be resolved in the next 15 days. 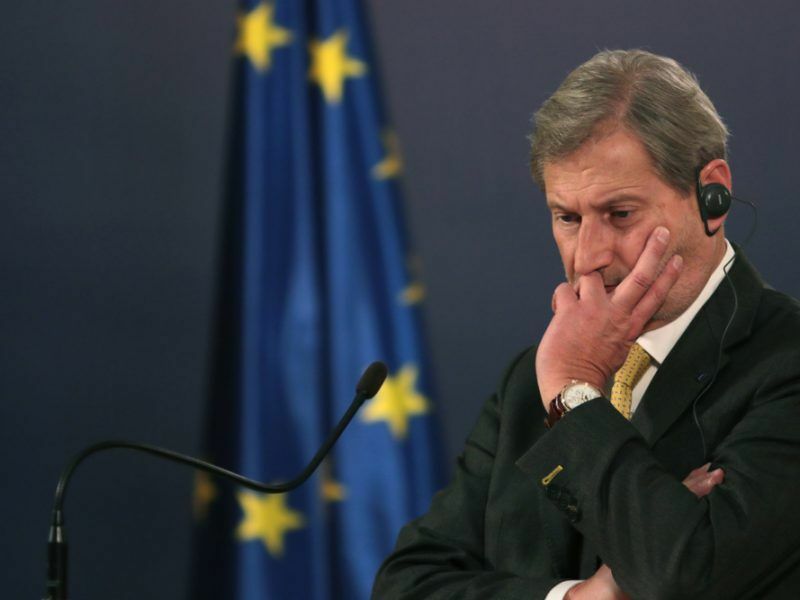 In addition, during the negotiations, Athens and Skopje lashed out against enlargement Commissioner Johannes Hahn, who said a solution was due in two weeks, even though the Commission was not involved in the process. Both Balkan countries called on the EU official to stop undermining the process and meddling with a negotiation that was led by the United Nations. For its part, the leftist Greek government is pushing its EU partners to open the EU negotiations for North Macedonia in June. 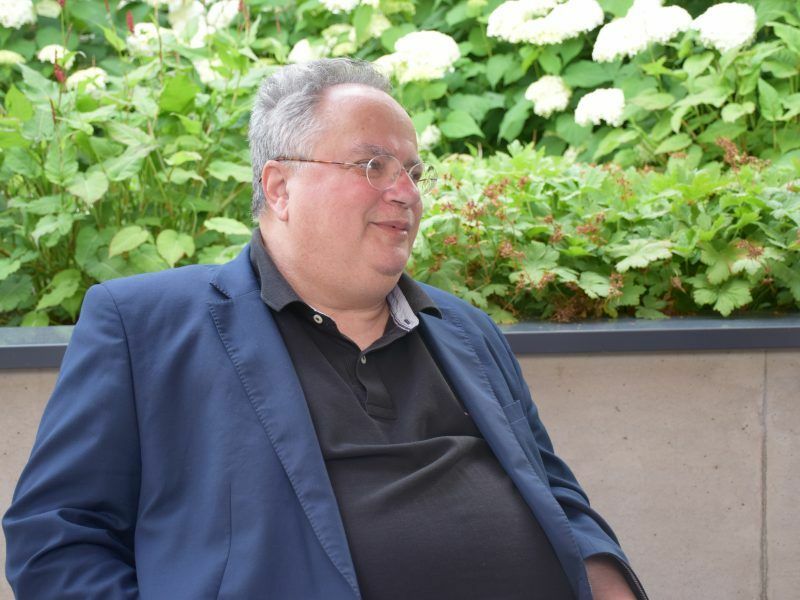 Greek Foreign Minister Giorgos Katrougalos said on Monday (18 March) Skopje had already delivered, along with the Prespa Agreement, “important, serious reforms related to the new legislation about organised crime, civil service reform and they will continue to deliver”. “We, the European Union, should deliver back,” Katrougalos said. Asked what the perspectives are for opening the negotiations in June, he replied: “There are some legitimate concerns, taking into account the present state of play in the EU. We have a clash of ideas about what kind of Europe we want”. “But we think that exactly for this reason because North Macedonia has embraced the idea of open societies, resolving problems through dialogue, rejecting bigotry and xenophobia, that we should encourage its accession,” he added. In the meantime, NATO Secretary General Jens Stoltenberg reiterated the Alliance’s “open door” policy towards candidate countries during his keynote speech. “NATO enlargement is not a provocation. We respect the right of every sovereign nation to decide upon their destiny, without force and without interference,” Stoltenberg said. 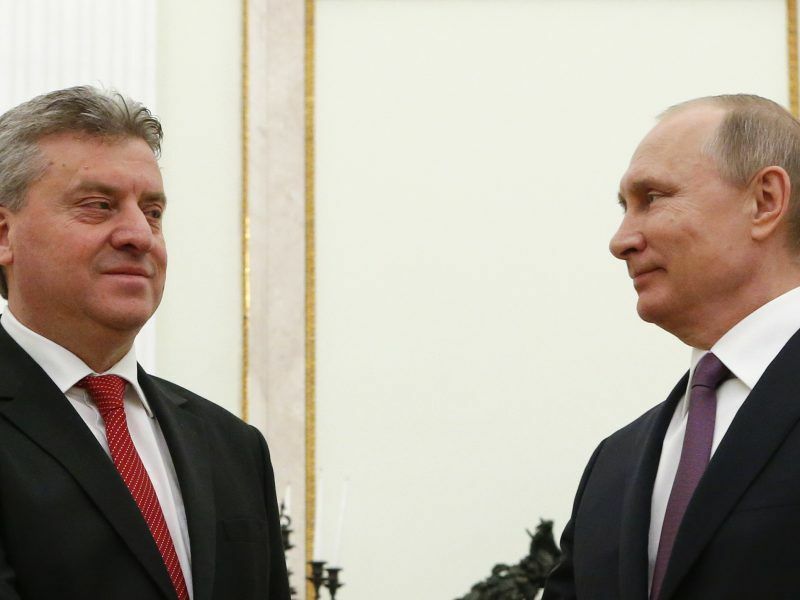 Russia, a strong opponent to name change deal, ultimately recognised North Macedonia with its new name, as the Russian foreign ministry announced. Moscow has claimed that the US put pressure on Skopje to accept the deal as Washington wanted to see NATO expanding in the region, where only Serbia and Bosnia now remain outside NATO. The opposition VMRO-DPMNE of former Prime Minister Nikola Gruevski in Skopje, possibly encouraged by Russia, is trying to hinder the resolution of a name dispute with Greece that has blocked the Former Yugoslav Republic of Macedonia’s (FYROM) progress in joining NATO and the European Union. Please can anyone donate k!dney for my sick uncle? He is rich and willing to pay any amount for the donor. What’sapp on ( +61 48 8 890 36 0 ) Dr. Johnny for more details.